Jose ready for Salah's debut? Home Features Jose ready for Salah’s debut? Jose ready for Salah’s debut? This Saturday, The Blues will be welcoming The Magpies to Stamford Bridge for the second Premier League meeting between the two this season. 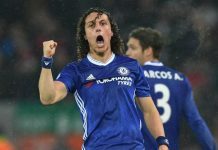 After keeping a clean sheet alongside an outstanding performance against the league’s highest scoring team this season; Manchester City, Chelsea will approach this game with sky high confidence. Whilst Newcastle arrive off the back of an extremely poor 3-0 loss against fierce rivals Sunderland. Comparing recent games surely Chelsea would be seen to be most favourable. With the departure of Yohan Cabaye moving to Paris Saint-Germain, Newcastle look vulnerable in the middle of the park. Having no replacement installed for the French international and with a plausible performance from Chelsea’s new signing Nemanja Matic, the match looks extremely one sided in an area whereby a lot of matches are won and lost. To add to Newcastle’s woes, they have been inflicted with many injuries and suspensions such as Papiss Cisse and Loic Remi with the latter having been in fine form of late. This could see a further downturn in form as their striking options will be extremely limited and the incredible performances Chelsea have been putting in as a team defensively – it’s beginning to look hard as to where a goal could come from for Newcastle. Since Mourinho’s arrival, the defensive work rate of the Belgian Eden Hazard has been noticed considerably, which alongside other team mates adapting to this trend, has led Chelsea to have conceded the least amount of goals this season. On the other hand, it isn’t all set in stone for a Chelsea victory. Newcastle’s Yoan Gouffran, is Newcastle’s highest scoring available player and is keen to catch the eye of the French national team’s manager, Didier Deschamps. Such motivation could influence his team mates to drive Newcastle to make a comeback of their current form and Alan Pardew would hope and expect that this is the effect. 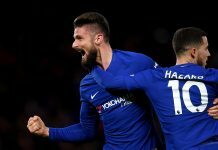 Newcastle have won three of their last four Premier League games against Chelsea, which isn’t comforting for the Chelsea faithful, as gaining 3 points would prove to be crucial if we wish to claim the top spot at the end of the week. In light of the recent fixture against Manchester City, I don’t think much change is necessary for Saturday’s game. However, we set out defensively because we were aware of City’s attacking capabilities, contrastingly Newcastle would not be so much of a threat. I think we should replace David Luiz with Oscar to add more attacking force, given Oscar’s recent form; this would be an invaluable move. Secondly, switching Willian for Salah, although Willian made a working contribution to the City game, this type of game is great for a debut player, to really set out confidence for Salah with a likely Chelsea victory. Given Newcastle’s record at Stamford Bridge joint with Chelsea’s unbeaten 72 Premier League home games with Jose Mourinho as boss, I can’t see a defeat. Moreover, Newcastle’s instability at the moment within the squad and club, Chelsea can make much advantage of these circumstances. Therefore, only a Chelsea win, I think is foreseeable, scorers being amongst Samuel Eto’o as he has scored seven goals in his last seven games in all competitions at Stamford Bridge, which I think he will build on. Final score to be Chelsea 2-0 Newcastle.